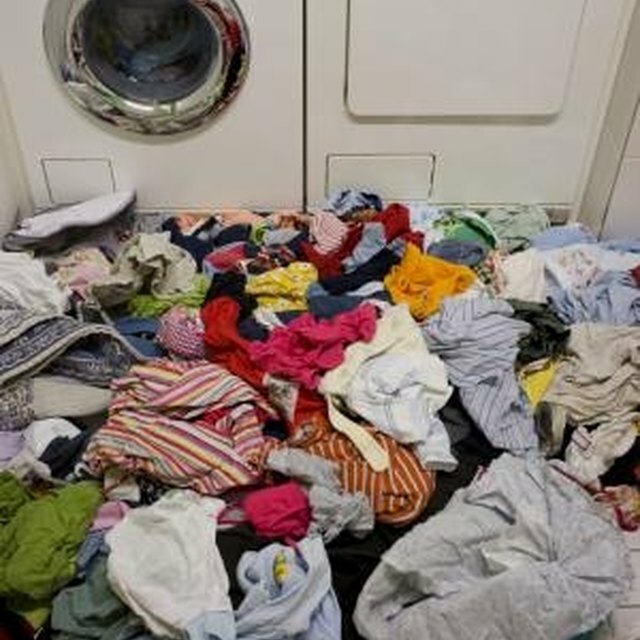 Top load washers with automatic balancing can correct that annoying, loud action that happens when a washer is out of balance. Prices for these clothes washers vary, and features such as Energy Star rating, load capacity and automatic controls can raise the cost. But automatic balancing in a clothes washer will ensure that clothes stay balanced throughout the entire cycle, and eliminate the need for manual adjustment. This GE top load washer has a 32 cubic foot capacity and features the company’s trademark AutoBalance Suspension system and the HydroWave system that washes your clothes with a slower, gentler motion. Other features include alternate wash/spin cycles with three speed combinations and 14 wash cycles with fabric-specific settings such as heavy cottons, whites and colors. Four wash/rinse cycles provide more options for heavy, medium, light and extra light soil. There is also an easy care cycle for wash-and-wear colors, and a delicates cycle for hand washables. Depending on the size of your load, you can set the water to three different levels, saving water and money. GE provides a manufacturer’s warranty of one year for labor and one year for parts. The Fisher-Paykel top load washer, with its 37 cubic foot capacity and automatic out-of-balance correction, is an Energy Star washer, which allows you to take a tax credit and saves money on your utility bill. Other features include a direct drive motor that automatically adjusts the agitator depending on the movement of the clothes, a water level sensor that automatically selects the correct amount of water required for the load, an automatic lint disposal system and an option for start delay of one, three or nine hours. The Fisher-Paykel also has a lid lock, 16 agitator settings and wash cycles such as regular, heavy duty, delicate, permanent press, wool and “favorite” There are five temperature controls, four rinse options and options for spin-hold and soak. The manufacturer provides a one-year warranty on parts and labor. The Maytag Bravo is a large 50 cubic foot top load washer with the company’s trademark Smooth Balance Suspension System with Superior Vibration Control (SVC). Also Energy Star rated, the washer may cost more with this feature, but that can be made up with lower utility bills. This washer has many of Maytag’s unique and trademarked features, including the Sensi-Care and IntelliClean wash systems that adjust agitation according to the weight of the load. The Max Extract spin option helps get water out of heavy loads such as bath towels. The QuietSeries sound package keeps the noise at a minimum. Other features include automatic detergent, bleach and fabric softener dispensers, an add-a-garment indicator before the lid locks and an extra rinse option. Maytag has a one-year warranty on parts and labor, and an extended 10-year warranty on the washer motor and wash basket. Warners' Stellian Appliance Company, Inc.